OMB I can't believe it Wednesday already,and that means it time for another Star showing how to disapprove!This week it's Mr Bun From Disapproving Bun.Mr Bun and is Hoomin staff run the pawsome Blog showing Daily Disapproving Bunnies at their Best so don't forget to hop on over to see the lastest Stars. "I'm Supervising my Hoomins building skills of my new Bundo...so far I'm unimpressed!" Thanks to Mr Bun and his Hoomin for such a great photo! Don't forget to send in those photo's of Disapproving Bunnies to me at [email protected] we really need them and if you other anipals want to join in just dress up as a bunny and we will add you too! Yep! That bun is definitely disapproving of something!!! That is a great Bun look! 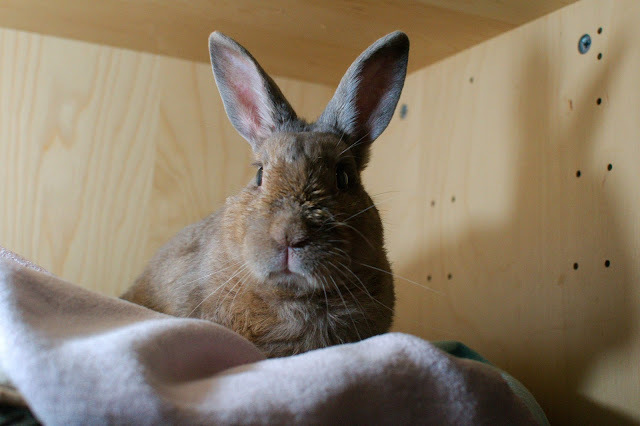 That is one handsome disapproving bunny! Needs pictures on the walls to make it a real home. He does look very disapproving. that's a serious work Mr. Bun...maybe you will get a tasty carrot later? What a gorgeous bun too! I recognise this Disapprover! It's Mr. Bun! I wonder what his normally-obedient hoomin has done, to get Disapproved Of that much?! Mr Bun you are a nice looking guy !